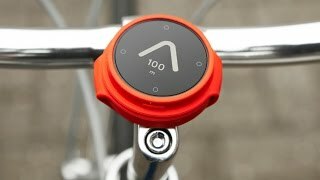 Introducing the Beeline smart compass for bikes. Ride with Beeline and make every journey an everyday adventure. 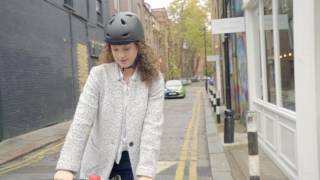 By simply showing you the direction to your destination and the distance to go, Beeline allows you to take back control of your ride. Designed to work with Beeline’s free app for iOS and Android, you can save your favourite places and routes, even when offline, look at your previous rides and share your favourite ones with the ride sharing feature. Where will you be off to on your next adventure? Check out the video here to see exactly how it works. • Universal interchangeable strap, which attaches quickly and easily to the handlebars or stem of any bike, no separate mount required. • Navigation technology that works anywhere in the world out of the box. • The latest Bluetooth 4.0 technology for reliable connection and low power consumption. • Tough silicone casing ready for the rough and tumble of cycling life with amazing water resistance. • Super sharp, high contrast display that's easy to read in all lighting conditions. Recommended bar dimensions: Minimum diameter: 20mm, Maximum diameter: 35mm - Orientation settings for either handlebar or stem mounting.